Use on calluses, cracked paws, dry skin, scars. No scent, no other additives Just Plain good for your pet. For topical use only. 2.2 oz packaged in a handy twist up tube. 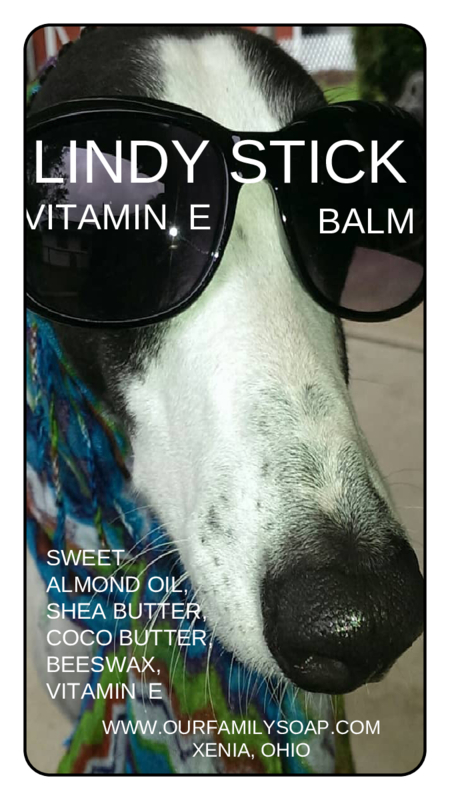 Lindy is the "Audrey Hepburn" of Greyhounds.